Falafel, which is essentially a deep-fried chickpea croquette, is not healthy. Falafel is definitely delicious though, especially when deep-fried instead of baked. 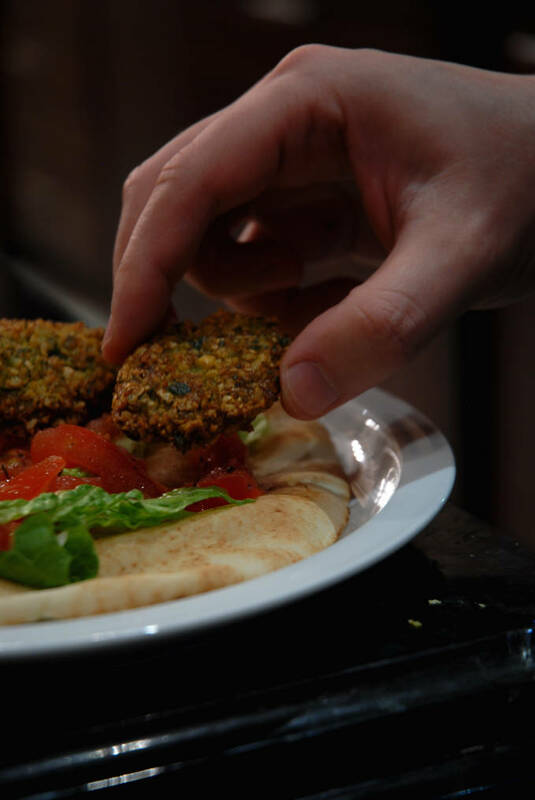 Falafel consists of ground chickpeas and herbs that are ground up and fried. It’s one of those things that you can’t really call healthy, but you can definitely call “dinner”. 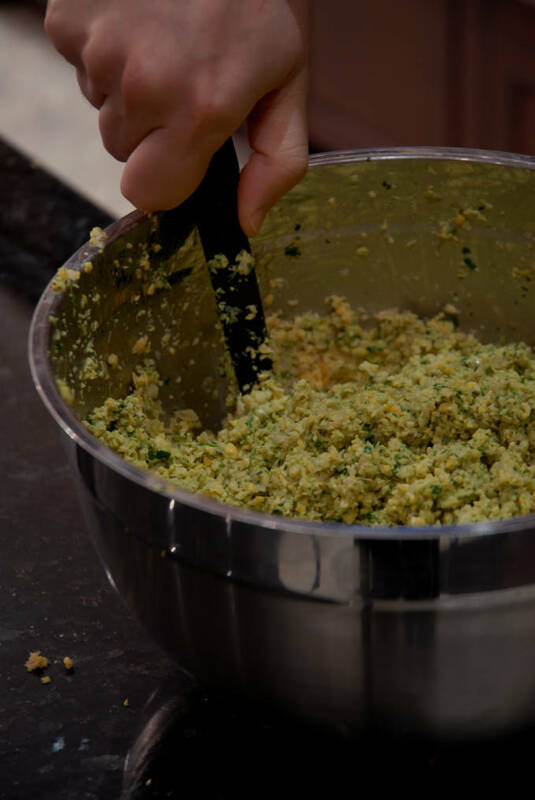 If you bake your falafel then it becomes much healthier, but also less crunchy. You must decide, when you make falafel, whether you treasure your health more than the momentary satisfaction you will get from a crunch. I chose the crunch. Falafel is amazing when it’s crunchy! A lot of things are better when they’re crunchy. That’s why breadcrumbs are so popular. People like crunchy things. The only thing I can think of that wouldn’t taste great crunchy is a towel. Towels don’t taste great, even if they’re crunchy. Not that making a crunchy towel is possible. It’s very difficult to deep-fry towels… they soak up all the oil. Baked falafel really is healthy. Baked chickpeas. You can’t get healthier than that. Maybe baked water? If you’re not a big fan of healthy food then fry, fry, fry! A piece of life advice, folks: everything tastes better fried. I deep fried those homemade Mars bars from last week and the caramel melted. Hurrah! Boy, were they delicious. So much better than they were before. This recipe makes a lot of falafel so I did a bit of an experiment. I baked some falafel and fried some falafel. Surprisingly, both batches ended up tasting like falafel. The fried falafel had a darker colour and was crunchier, but to be honest the baked falafel wasn’t bad. It was quite good actually. Good enough to consume rapidly. 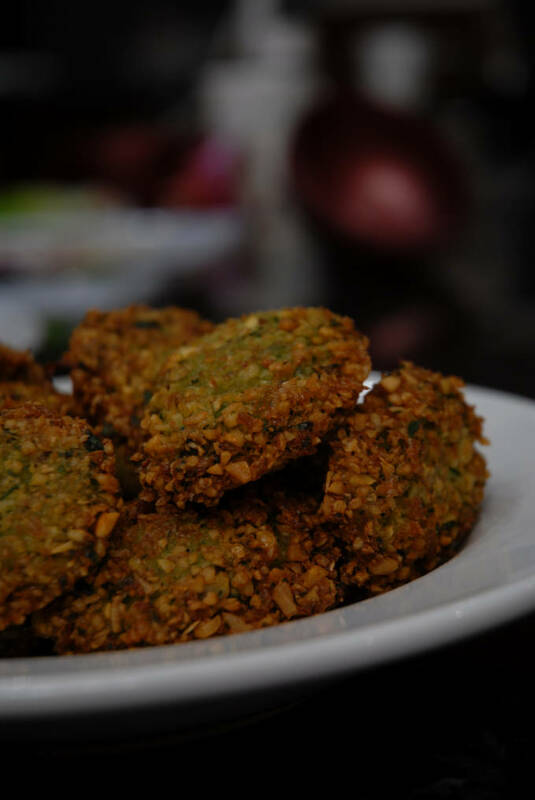 Falafel is super healthy (when not fried in a pitcher of oil) and very delicious. Serve it on it’s own, on a pita with some vegetables, with some hummus, or even with some tzatziki sauce. 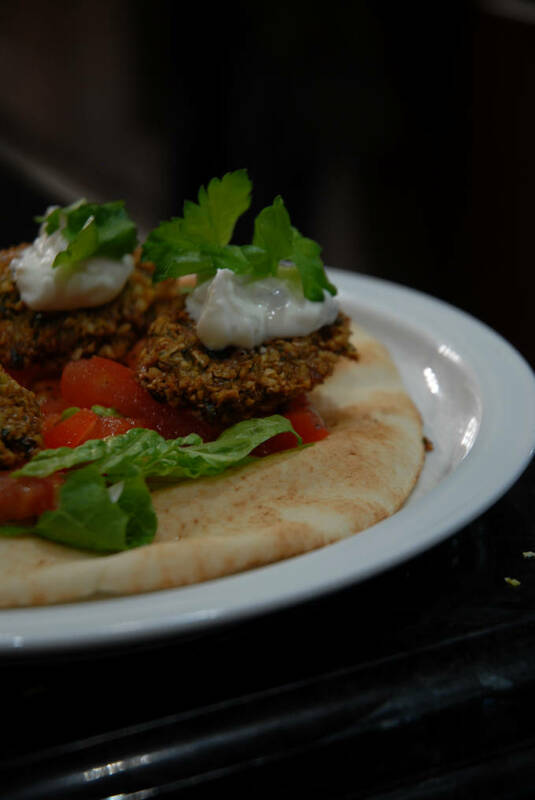 Homemade chickpea falafel with cilantro and parsley, served in a warm pita. Soak the chickpeas in 10½ cups (2625ml) of water overnight in a large bowl. Drain the water and then grind the chickpeas in a food processor until the pieces are about half a centimetre (about a fifth of an inch) across and empty into a bowl. Combine the onion, cilantro, parsley, and garlic in the food processor. Process until a paste forms and add to the chickpeas in the bowl. Add the remaining ingredients (including the remaining ½ cup (125ml) of water), and mix together. Heat about three centimetres (about an inch) of oil on medium-high and then add spoonfuls of the falafel mixture into the oil. Using two spoons is the best way to do this. Flip the falafel over when it browns, about a minute and a half. Remove from the oil and drain. Then eat! You can also bake the falafel at 400°F for 15-20 minutes, depending on how crunchy you want your falafel. Serve warm. Falafels look good though! Makes me want to try some! Great pics. As you might suspect, I do love falafel, but prefer mine baked. I have some in the freezer, in fact…ready for a starter or even a lunch. I think I’ll whip up a batch of Tzatziki and have it for supper tonight. Thanks for the inspiration. Mea culpa! I made falafel the other night and I fried them. :( I suspect that means I’ll go to healthy food hell but they were SO good! Yours look beautiful. I’ve always wanted to make my own falafel! This recipe looks really great! There is nothing like good falafel. Ryan and I could eat it daily. I obviously need to try my hand at making my own! Thank you for sharing with us. I hope you have a great start to your week. Stay healthy, happy, and warm! Looks like you are branching out from desserts. I love falafel. Great post! 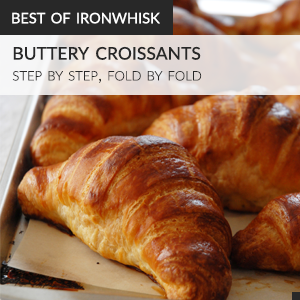 Interesting idea to bake instead of fry. Thanks! Mmmm….these look very delicious. I have never made myself. Had tried the Costco ones. Quite like it. I think I would fry it too. Never mind the oil. Only once in a while :D Thanks very much for sharing. You have hands like an angel!